Manila, Philippines – Dirk Nowitzki set another record in his career passing Wilt Chamberlain record in all NBA Scoring leaders. This was the 21st season of Dirk Nowitzki “Swish 41” in one team, which is the Dallas Mavericks. In his longtime career as forward in Dallas, he breaks many records. He becomes a three point champion in 2006. He has also become an NBA Champion in 2011 and get the Bill Russell award “MVP”. 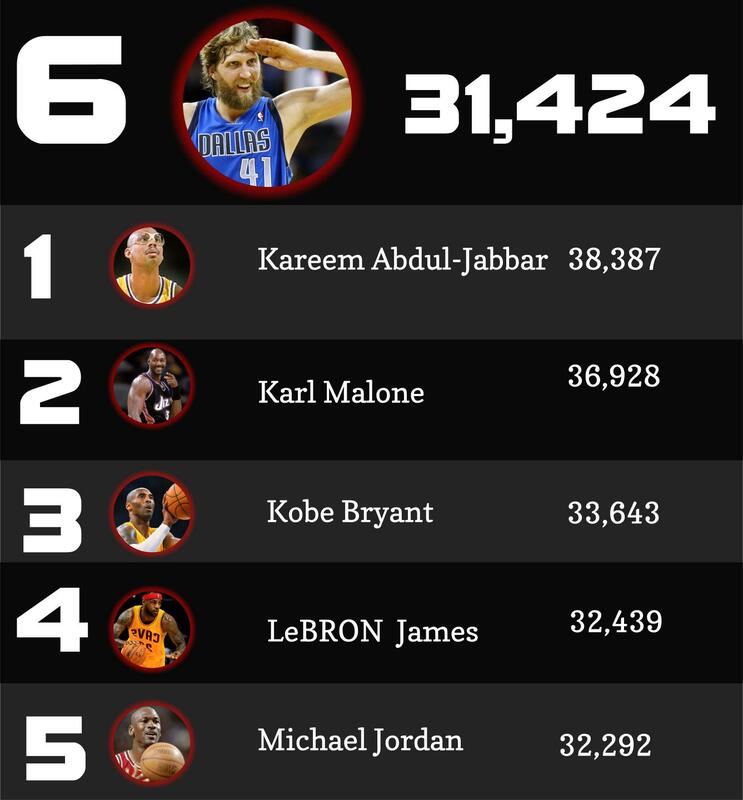 It’s just years ago Dirk Nowitzki passed Shaquille O’Neal in scoring leader way back on Dec. 23, 2015. Yesterday, Dirk only needs 4points to surpass Wilt Chamberlain record, but his shot over the rookie of the Pelicans “Kenrich Williams” moved him in the sixth spot of scoring leader of all time. Dirk finished the game with 8 points, 1 rebound and 2 assists. Although his team loss to Pelicans in overtime “125-129”. As “Swish 41” not getting younger anymore, lets hope Dirk Nowitzki will sign another contract next year for his 22nd NBA season.